Alpina AT8 102 HCB Ride on Lawn mower. 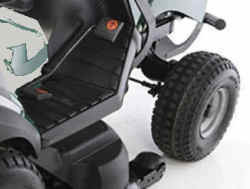 Alpina are a premium ride on lawn mower brand made by GGP Italy, Europe's largest manufacturer. 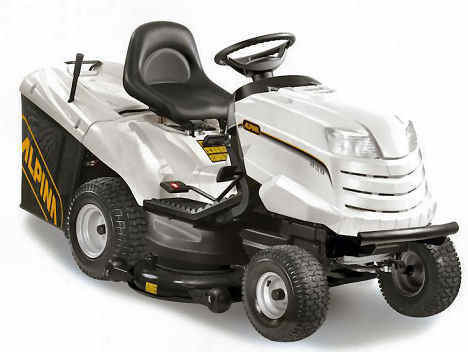 We have been selling GGP lawn mowers for over 25 years over their various brands (Alpina, Castelgarden). 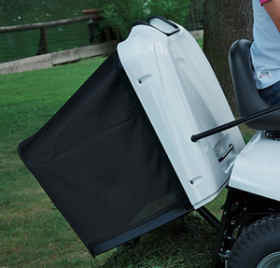 The Alpina Alpina AT8 102 HCB is suitable for all larger sized gardens, with 300 litre Grass bag and a Briggs & Stratton 656cc V-Twin 22HP engine. The Alpina AT8 102 HCB comes with a mulcher and tow kit included. 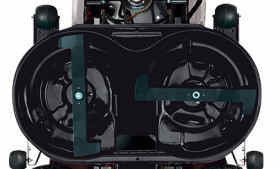 Information on the Alpina AT8 102 HCB ride on lawn mower - 40 inch cut with 656 cc 22HP v-Twin Briggs & Stratton Engine. 4 Anti Scalp Deck Wheels. 656cc Briggs and Stratton engine. Electric blade engagement - just flick a switch. 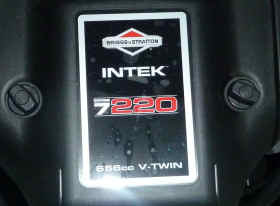 656cc Briggs and Stratton V-Twin Cylinder 22hp engine. 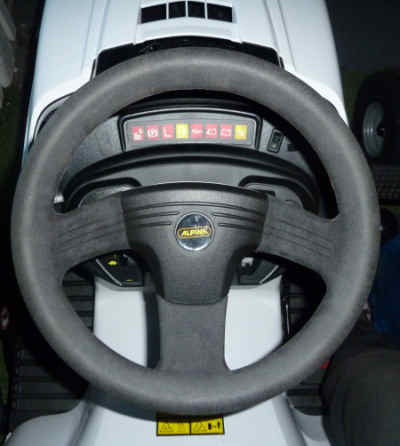 Ergonomic soft grip steering wheel.